Finally! 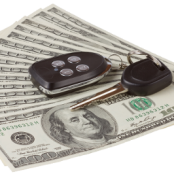 After years of budgeting and carefully managing your money, you have the savings to purchase a new car. However, you have a small problem… how do you get rid of your existing vehicle? Whilst privately selling your vehicle will provide you with the highest return, it also means you have to go through the hassle of paying for advertisements, taking calls regarding it, book viewings for potential customers and possibly take them for test drives… I don’t know about you, but that sounds like a headache. So, if you’re willing to lose out on a little bit of cash, in order to take the hassle-free route, trading in your vehicle is the way for you! This way, you agree to sell your vehicle marginally below what it’s worth to a trader so that they can profit from its resale, however, the benefit for you is that you don’t have to endure the lengthy and stressful selling period! There are many factors that will determine your vehicle’s trade-in value, such as year, make and model, the state of your vehicle and mileage. To begin with, used late-model vehicles have good potential for gaining a decent trade-in offer, as they are usually easier to sell, due to buyers looking for more recent cars at cheaper prices. Moving on, certain makes and models will gain better trade-in offers than others, due to dealers generally being able to sell them for a high price. For example, Toyotas and Hondas may result in a more decent offer compared to Fords and Chevrolets. Also, some vehicles that belong to a certain model, will carry a higher trade-in value, even if other vehicles from the brand don’t. A good example is a Chevrolet Corvette, as it will always get a high trade-in offer because of the vehicle’s popularity. 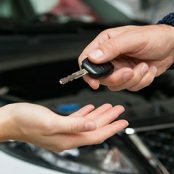 Regardless of how recent your vehicle is, when you go to a dealership to see how much they would offer for your car, a trade-in salesman will check how well you have been maintaining it, which means if it’s in poor condition prepare yourself to be disappointed at the offer you receive. Essentially, they will look for any scratches, dents, dings and faded paint, and any of these that are spotted by the dealer will be a reason for them to lower their offer. Interior wise, they will look for ripped upholstery, any damage to the dashboard and stains on the carpet, which if found, will result in the trade-in value of your vehicle decreasing. Just like the condition of your vehicle, mileage is also one of the most important factors in determining trade-in value. Higher mileage vehicles will generally get you lower trade-in offers, whereas vehicles with low mileage will gain you higher ones, as typically in a buyer’s eyes, fewer miles equals a longer lasting vehicle. Therefore, if your odometer displays a very high mileage, potential used car buyers may be less willing to purchase your vehicle, which will result in dealers offering you a lower price. Keeping these factors in mind, dealerships will not make a good offer if they think your car is going to be a hard sell. It’s the vehicles that will give dealerships a decent profit in sales, that will receive the better offers. So what can I do to increase my car’s trade-in value? Give your car a makeover: The better the condition of your vehicle, the more money you will make from it. Make sure that you can recoup the cost of the repairs from the selling price. Fix those dents, scratches and tiny dings: If your vehicle looks like its been through a rough ride, you may want to restore it back to its original condition. By fixing those noticeable dents and scratches, you raise the chances of getting a higher offer from a dealer. Therefore, book your vehicle in with a body shop, such as Bodyteq. We will try and provide you with the best deal and have your car sorted by our dents expert. Provide service documentation: Anything that will prove that you have been meticulously keeping up with the maintenance of your vehicle, should be presented to the dealership. If you have lost any of your documentation, you could request a copy of the receipts from your go-to auto shop. Detail your car: Make sure your car is clean and if you think your car needs it, get a detailing job done, as it could boost your vehicle’s trade-in value. Look around: Check out a few dealerships in your area to get an idea of all the offers you could get. This is due to the fact that prices and demand could vary by location. To get an idea of how much you might get, you should search for vehicles like yours, find out their prices and how long they have been on display. If they have been on display for a while, do not expect top offers for your trade-in. With all these in mind, if you feel your vehicle isn’t in the best condition, you should think about booking it in with Bodyteq! We will will take care of any fixes or auto detailing your car may need, so you can hike up its trade-in value! Contact us today for a free quote!